This blog presented by 4 Guys And A Roof is all about Roofing - Commercial and Residential Roofs and the Roofers at 4 Guys And A Roof! We stand behind the philosophy a complete roofing system begins with Owens Corning's wide array of roofing shingles and accessories. As a Preferred Owens Corning® Roofing Contractor we are backed by the Owens Corning® brand. 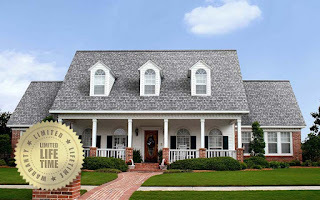 Focusing our roofing services in Northwest Ohio and Southeast Michigan, we come with over 15 years experience. Why is the roof a good place to experiment with color? (Karen): I think of the roof as a “permission piece”. Because the colors in the Owens Corning® TruDefinition® Duration® series palettes are subtle and so well integrated, they tie the entire home together. Topping off a home with beautifully blended shingles gives the homeowner permission to invite their favorite colors into their home and tie the whole look together at the roof. Are there any guidelines you offer for using color effectively on a home’s exterior? (Karen): Starting with the color wheel is a good place to begin. Remember, it’s not just about picking one color. At a minimum, a home’s exterior should include three colors – siding/paint, trim and an accent color, and they need to work together. The roof is the perfect place to tie all of these colors together. People shouldn’t be limited to just three colors. When done in the right manner, many other colors can be integrated. I counted 17 colors on one of San Francisco’s “painted ladies” homes! What does a well-coordinated exterior offer beyond personal expression? (Mina): As a real estate agent, I’ve seen how a home with the right exterior colors can attract people to come inside and check out the interior. When something is off on the outside of a house, it makes you wonder what might be wrong inside the house. A home with a coordinated exterior will get looked at before another home that is not so well put together in terms of color pairings. (Karen): The elements in a home should invite people to come inside and create a sense of acceptance. Just one “off” element can create a visual “stop” and prompt someone to start looking for other problems with the house. A roof can be a wonderful opportunity to tie the whole home together from the front step to the top of the house. What are the most common mistakes people make when it comes to exterior color? (Mina): Playing it too safe. No matter what a person’s favorite color is, there’s a shade within the color family that could work. For example, I wouldn’t do a ‘full-on’ orange, but there is a shade within the orange family that might be just perfect. We encourage people to think about how different shades in a color family - and in different color families - can work together as trim, as accents, and on the roof. (Karen): Color is evocative and can bring about strong feelings. The nice thing about integrating color into shingles is it’s a low-risk way to bring color into a home’s design on a small scale. How are you using Owens Corning® TruDefinition® Duration Shingles? (Mina): I used to think that the roof was what you added at the end of the process. We’d select a standard gray color because it paired well with a lot of different sidings and exteriors. 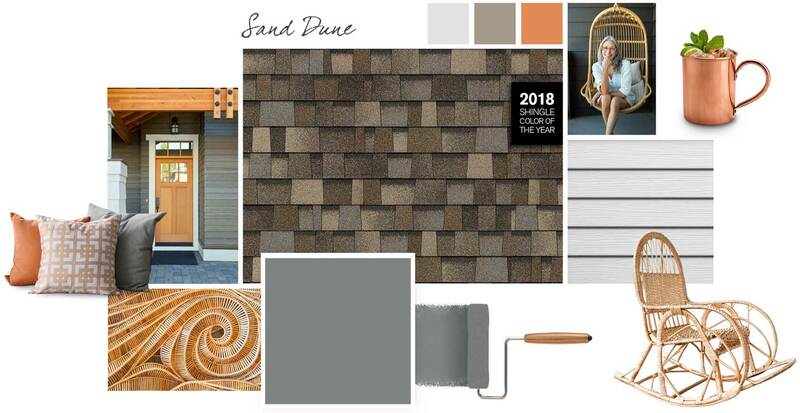 When we added the Owens Corning® TruDefinition® Duration® Designer shingle in Sand Dune to our home office, it opened our eyes to how the roof can bring a house together and now the roof is a key part of our color decisions. You can see how Sand Dune looks on our home office when Season 2 of our program begins airing in May. 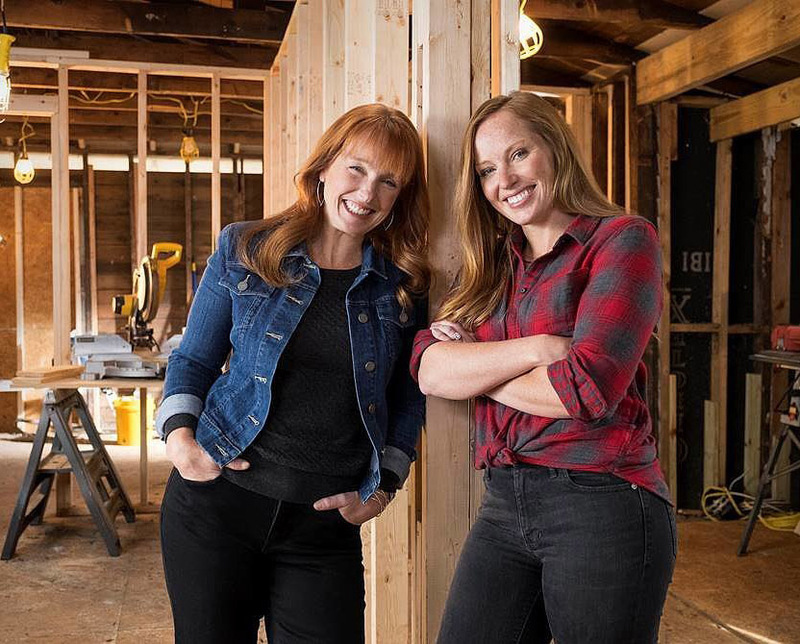 Karen E. Laine (Mom) and Mina Starsiak (daughter) are Two Chicks and a Hammer, Inc.
”We began rehabbing houses in our neighborhood near downtown Indianapolis in 2007. In the process, we discovered a skill set and passion for neighborhood rehabilitation, one house at a time. We found that we could do well by doing good! In 2014 our company was found by High Noon Entertainment, who filmed a pilot for HGTV. The pilot aired in May 2015 under the name “Two Chicks and a Hammer”. In July 2015 we began filming the first season of the show now known as “Good Bones”. We began filming a second season in 2016, which is airing in May 2017. Why is exterior color such an important part of your home remodels? (Mina): We want the houses we remodel to fit in with the neighborhood’s personality and so we use color in a way that is neither overbearing nor boring. We like Owens Corning TruDefinition® Duration® Designer shingles because the color is more saturated, yet not overly intense and brings an interesting texture to the roof. (Karen): Color is the key to helping a house “tell its story.” Every house has a story and expresses the homeowner’s personality through the texture and color of its roof, the details of its front porch and the style and hue of its front door. Color says, “This is who I am.” At the end of the day, color is personal. Can you provide some examples of how color serves as a statement? (Karen): We all use color to inform the world about who we are and what we’re about. For example, yellow says, “I’m sunny.” Gray reflects a dignified personality; blue indicates a calm, serene approach to life; and a chocolate color says, “I’m delicious – people eat me up!” We just remodeled a house using a brown shade to create a cozy vibe. Although just 1,100 square feet, the house looks as inviting as a latte – it’s like a little puff of chocolate mousse in the neighborhood. Speaking of neighborhoods, how does the color of other homes in an area factor into color decisions? (Mina): The neighborhood we work in does not have home owner association restrictions that dictate color, so we can take bigger risks. But it’s really important that a home “fit into” its neighborhood. Colors should not compete with one another – they need to complement. It’s a balance between avoiding the ‘matchy matchy’ effect and having the colors of the home’s exterior argue against one another. As mom says, “if the colors aren’t married together, they’re fighting,” and one of the things we liked about the Owens Corning® TruDefinition® Duration® Designer shingles is how shingles within the line marry well with a wide variety of shades. (Karen): In developing its color palette, Owens Corning gave us a brand new way to think about the roof – making it part of the overall effect that ties a house –and the neighborhood we remodel in – together. For one remodel we’re working on now, the TruDefinition® Duration® shingle in Driftwood really speaks to me. The palettes provide a way for us to add more texture to the color palette and they’re versatile enough that they’ll look great even if the house is repainted a dozen times. Check out the 4 Guys And A Roof's next blog entry for the rest of the story! Dream Big When It Comes to Your Roof! If you’re a dreamer — a person inspired by color, art, nature, or just fashion then you have come to the right place to get inspiration for the face of your home. This especially includes YOUR roof! Did you know the roof is over 40% of your home’s overall exterior? This is why we take roofing seriously! We want you to be overwhelmingly happy every day when you pull up into your driveway, a friend comes to visit or if you are just enjoying the great outdoors in your backyard! 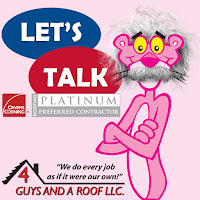 4 Guys And A Roof as your local Owens Corning Platinum Preferred Roofing Contractor! As a roofing expert we can help with everything from color to roofing features and beyond. Let your color personality shine through and call 4 Guys And A Roof today at 419-343-8648 or check out our website at www.4guysandaroof.com! 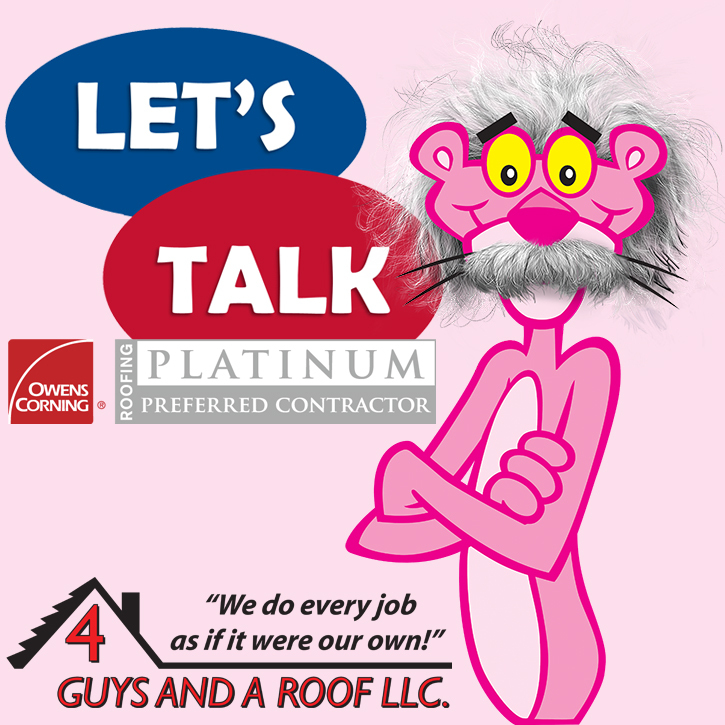 4 Guys And A Roof as a Platinum Preferred Roofing Contractor for Owens Corning offers the TOTAL PROTECTION ROOFING SYSTEM®! Ready for a new roof? Ready to learn more about giving your home and family Total Protection when it comes to your roof? Call 4 Guys And A Roof now at 419-343-8648 or check out our website at www.4guysandaroof.com! Stop the Streaks on Your Roof! Yes! 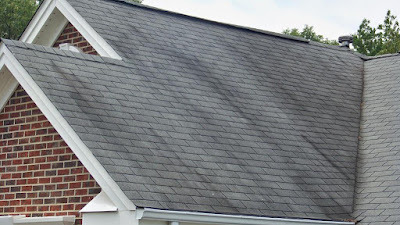 It's true - many homes have streaks on their roofs! Ditch the streaks on your home's roof today by protecting your home’s curb appeal with the Owens Corning StreakGuard™ Algae Resistance Protection built directly into the roofing shingle! Owens Corning blends copper-lined granules into our colorful granules, which help resist algae growth. Algae species are naturally occurring and transported through the air to attach themselves to roofing shingles and other surfaces on your home. While algae growth can cause brown or black streaks on roofs, it does not impact the performance of your roofing shingles. Streaks caused by algae growth are more common in warm, humid climates but can occur in all regions of the country like in Ohio and Michigan. Owens Corning has continued to advance their algae resistance protection based on over 30 years of testing and experience. Shingles with StreakGuard™ Algae Resistance Protection can help inhibit the growth of blue-green algae*. †2016 Roofing Homeowner Brand Awareness Survey by Owens Corning Roofing and Asphalt, LLC. 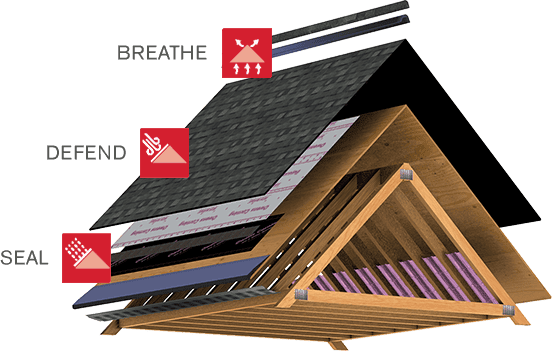 But beyond the impressive curb appeal the Owens Corning roof selection comes with, all roofs come with the advanced performance of their patented SureNail® Technology — a technological breakthrough in roofing. The SureNail Technology is considered a Performance Feature! Why you might ask? 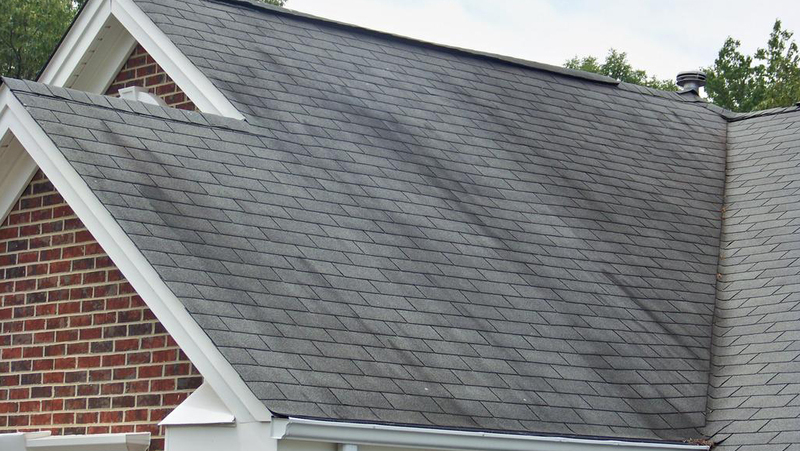 Because the SureNail® Technology goes far beyond the ordinary roofing shingle! There's a line between a good shingle and a great shingle. The SureNail® Technology is laser focused on the nailing line on your shingles. 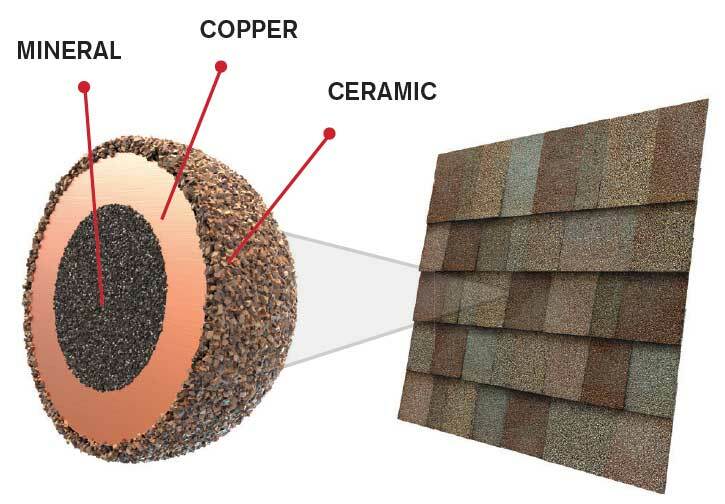 The difference between a good shingle and a great shingle is having the Owens Corning SureNail® Technology. With SureNail® Technology, strength and durability are built into every Duration® Series shingle, thanks to the unique fabric strip in the nailing area. This unique shingle design provides outstanding gripping power. 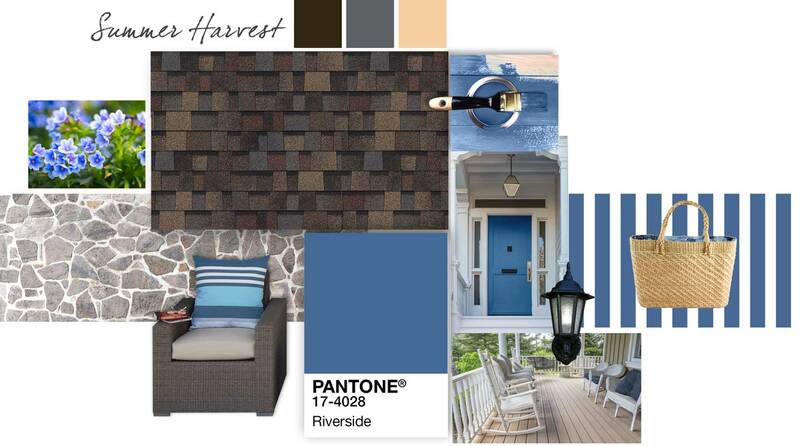 2017 SHINGLE COLOR OF THE YEAR! 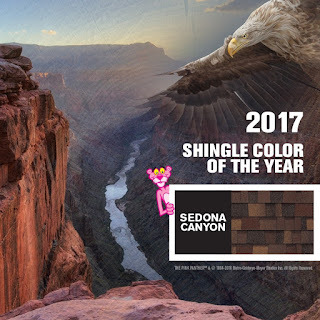 The Owens Corning Roofing 2017 SHINGLE COLOR OF THE YEAR – IS Sedona Canyon! 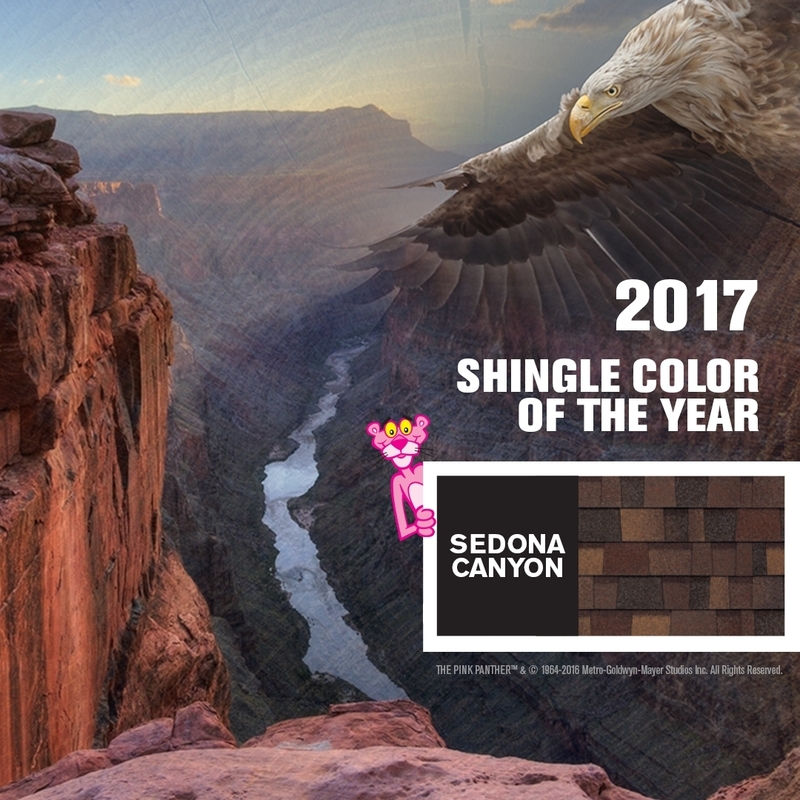 Part of the TruDefinition® Duration® Designer Colors Collection shingle line, Sedona Canyon pairs well with popular home design colors. “We know that homeowners use color in unique ways to enhance the curb appeal of their home, and we’re seeing that the roof color is being included in those decisions,” said Brian King, vice president, strategic marketing, Owens Corning. “Talking about Sedona Canyon is an ideal way to start that conversation with homeowners. Are you ready to learn more about getting your new roof with the Owens Corning Color of the Year? Call now at 419-343-8648 or visit our website at www.4GuysAndARoof.com! ©4 Guys And A Roof - www.4guysandaroof.com. Awesome Inc. theme. Powered by Blogger.